William Nylander said Thursday that although he would like to be back playing with the Toronto Maple Leafs, he has to think long-term while working out a contract extension with the team. The 22-year-old told Swedish news outlet Aftonbladet after a skating session Thursday that he's doing his best to stay in shape while in Sweden, but had no update on when he might return to Toronto. "Right now I don't know more than you do," Nylander told Aftonbladet. "I have no information and I haven't spoken to Toronto. My agent's handling everything." According to TSN Senior Hockey Reporter Frank Seravalli, the restricted free agent is losing somewhere in the range of $20,000-$45,000 per day from his next contract for each day he misses this season. Nylander said it's the cost of focusing on his long-term future. "Of course it's a lot of money, but in the end I must look to what is right for me and what me and my agent think is right," Nylander said. "Especially if it's a multiple year thing. I have to think long term. It's my own future." 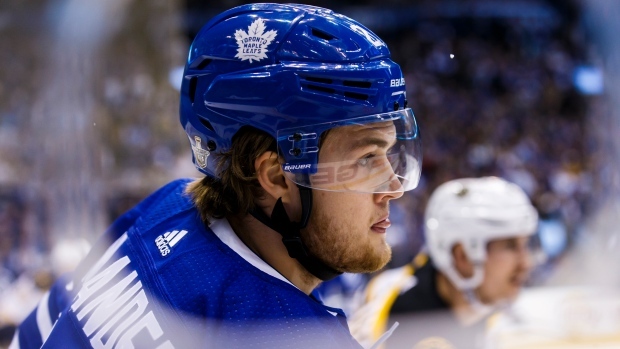 Both Nylander and Leafs general manager Kyle Dubas have stated their desire to reach a long-term deal, but the gap between the two sides was believed to have been as much as $2 million per season at one point this summer. Maple Leafs president Brendan Shanahan said Wednesday the team is expecting their "young leaders" such as Nylander to make sacrifices to keep their core together. When asked about Shanahan's comments, Leafs centre Auston Matthews gave an opinion that appeared to match Nylander's. "That's why we have agents, right? Let them figure it out, talk to management," Matthews said. "We'll stay out of it and just play hockey." The Maple Leafs opened their season with a 3-2 overtime win over the Montreal Canadiens on Wednesday night with Tyler Ennis filling Nylander's spot in the lineup to the right of Matthews. Nylander said he didn't watch the game, which took place in the early morning hours in Sweden. "No, but I watched the highlights this morning," Nylander said. "It was really nice goals. I want to play, but the situation is what it is. "But I want to stay in Toronto."